Working as an online English tutor could be the perfect career path for you. You cannot only work as an tutor for English-speaking high school students (and college students who need assistance understanding and completing classroom assignments), but also work as an online tutor, teaching students who are learning English as a foreign or secondary language. If you are interested in becoming an online English tutor, try these tips to help you throughout the process. Scraping by without a proper educational background simply will not do. In most cases, you must have an English degree of some variety in order to teach English lessons. You do not necessarily have to have a degree in English education, but you must have a degree in a related field like English literature, creative writing, etc. If you do not have an English degree from a four-year institution, then it is essential to be English language certified. English language programs from companies like The International TEFL - Teach English as a Foreign Language- Corporation (TITC) offer online and residential courses that allow you to become certified to teach language in a foreign country, or teach English to immigrants. While you will be able to find available positions that allow you to tutor English speaking students, a whole new world of career opportunities will open up to you if you are bilingual. Knowing how to speak another language is an advantage in nearly every job field, but it is especially useful in the world of online English tutoring. If you are proficient or fluent in another language, you will have the opportunity to teach immigrants, or even work abroad and teach English as a foreign or secondary language. If you have always dreamed of working in Africa, Asia or Europe, then this could be a dream job for you. Also, when applying for a job, it is likely that you will be preferred over other other applicants who are not bilingual. Knowing how to speak a second language is a skill that can move you to an entirely new income bracket. Working as an online English tutor is not for those who are easily frustrated. English tutoring is an industry that requires professionals who are not only knowledgeable and experienced, but also patient and understanding. Teaching someone how to improve their language and communication skills is a delicate process. Being able to stay calm, focused and determined when working with your students is essential to your success as an online English tutor, and it is also essential for the success and progress of your student. 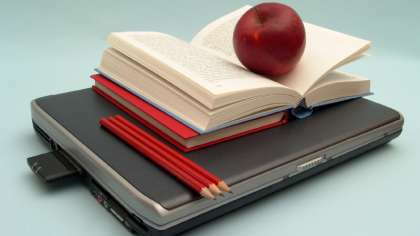 Online English teaching is a rewarding career that could be the right option for you. If you are thinking about teaching English lessons online, then consider these 4 tips, and you will be well on your way to success.